When winter creeps closer and you spend a lot more time indoors, you might not have your deck on your mind…but now is the time to be sure to give your deck a little TLC. Clean your deck before winter arrives to ensure it stays in its best condition. 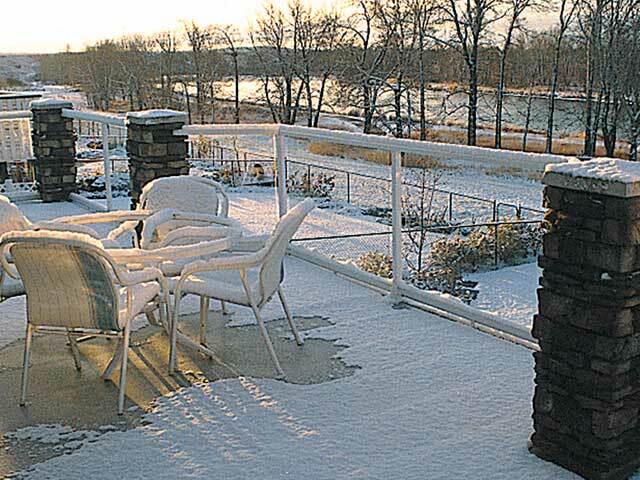 While some people use their decks and balconies all year round, many of us don’t spend much time on our decks when the cold weather hits so be sure to consider your deck before it is out of sight, out of mind for several months. When you are doing your annual winterizing, make sure your deck is on the list. Most people will put away the lawnmower, outdoor furniture and summer sporting equipment. Those with a boat or RV will tend to take the time to store it in a garage or at least tarp it up for the winter, but many times people will neglect their decks. Remember, even your low maintenance deck needs a little attention. Anything that is permanently outside exposed to the elements 24 hours a day, 7 days a week is going to accumulate some dirt. You can make your spring cleaning job a whole lot easier if you take the time to clean your deck before winter too. Take advantage of the fall weather to inspect and clean your deck before winter. Here are some quick tips to keep your deck looking great. The first thing to do when winterizing your deck is to clear away any seasonal items that need to be protected or will not be needed through the winter. Take away metal furniture or planters that can encourage the development of rust on your deck’s surface. Remove any organic debris as soon as possible. Rust, leaves and other organic matter can stain your deck surface and the longer it remains and is allowed to settle into the membrane, the harder it will be to clean off. Duradek vinyl deck cleaner is available from your Duradek Dealer, Duradek head office locations or on Amazon. Your vinyl deck should be cleaned at least 4 times a year with the Duradek vinyl cleaner available from your local Duradek dealer. This cleaner is designed specifically for vinyl and will NOT leave harmful chemical residue as many household cleaners may. Use warm water and a stiff broom, scrubbing in a circular motion to loosen the dirt. 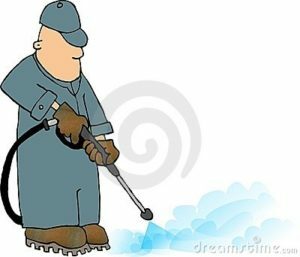 Then simply spray with a garden hose (under pressure) to wash away the loose dirt and flush thoroughly with clean water. If you choose to use a household cleaning product, we would recommend Cascade Powdered Dishwasher Detergent or Simple Green as reasonable options. We do not recommend the use of household cleaners in general. Certain types of cleaners, powdered abrasives, steel wool, and industrial cleaners can cause damage and discoloration. Dry cleaning fluids should not be used as they will remove the printed pattern and glass. Waxes should not be used as they may contain dyes or solvents that can permanently damage the protective coating. Your best choice of cleaning products will state that it is safe to use on vinyl. While all cleaning methods require a thorough rinse with water, using any household product dramatically increases the need to flush the deck thoroughly with clean water to ensure all residues are removed. The residue may not be obviously visible to the eye, but if any remains, the sun can bake these harmful chemicals into your vinyl and it may affect its appearance. If your vinyl pattern is one of the more textured surfaces that offers a more effective non-slip characteristic, it will likely require a little more cleaning effort than a vinyl pattern with a smoother surface. Power washing is an effective method of removing dirt and debris, although it is not intended for removing embedded stains. Set your power washer at 1500 psi (max.) and hold nozzle 12 inches from the surface and be careful to avoid seams, railing attachments, caulking or house trims. Deck inspections are an important part of your home maintenance and should be completed at least once a year. Before the really heavy rain or snow takes over for the chilly winter months is a good time to inspect the details around your deck, particularly at the critical inside perimeters that protects your building envelope. 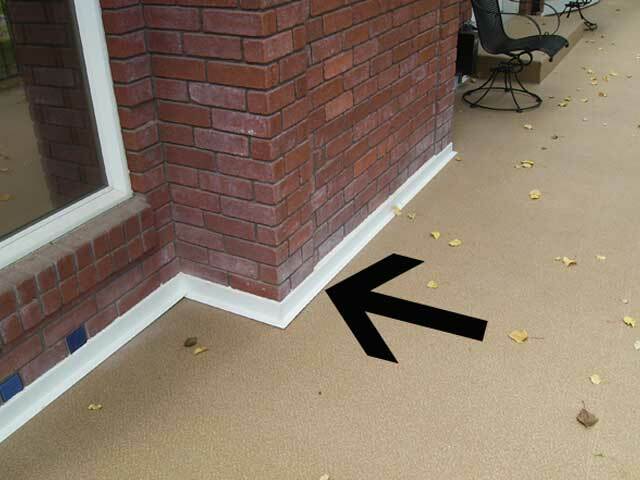 By ensuring your perimeter details are still securely in place will provide peace of mind that your Duradek vinyl deck is still performing as expected and will protect your home from potential water damage. 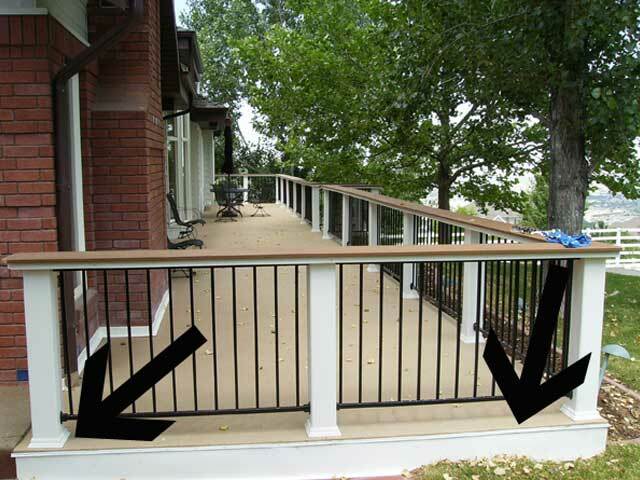 Check the inside perimeter of your deck along the house to ensure it remains sealed securely. Be sure to check seals around posts and pillars and that the flashing on the outside edges is securely in place. Over time, your home may shift and settle and these annual deck inspections will uncover any potential problems with broken seals. If you discover some caulking has pulled away from the wood or a seal has cracked, contact your Duradek dealer who will recommend the proper sealant to correct it. It is much better to check for these little details before the heavy rains come and you find out water has found a way to get through to your home. Cleaned and Cared For…Now Enjoy! Though no exterior surface is completely impervious to the elements, by taking the small amount of time required to properly clean your deck at the change of the seasons, you will help to ensure that your deck appearance lasts as long as the guaranteed waterproofing performance of your Duradek vinyl deck. 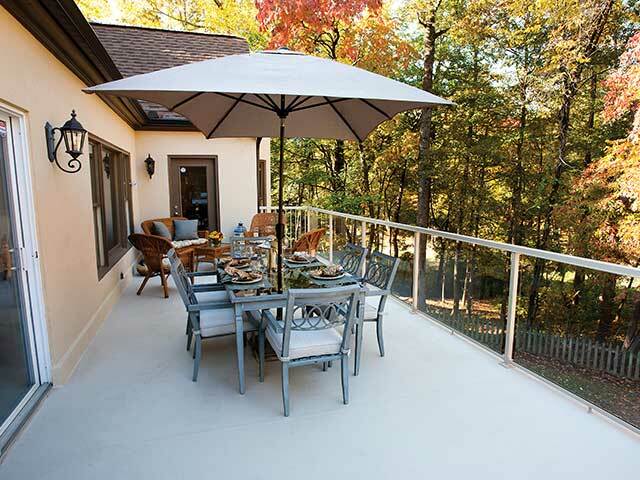 No matter what the season, Duradek protects your outdoor living space all year, every year. To find a local Duradek Dealer, visit the Duradek website’s Dealer Locator.